What can we learn by studying what people say in the final stage of their lives? 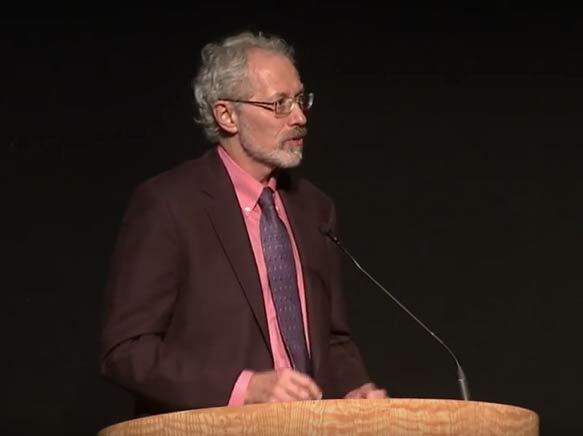 On September 19, a group of scholars and researchers participated in a live panel discussion on the Research into the Communications of the Dying (RICD) project, an interdisciplinary academic study of the words uttered by the dying.The event was held at the Mitchell Performing Arts Center at Bryn Athyn College, selling out the 430-seat auditorium and attracting more than a thousand viewers to the simultaneous livestream. The panel featured near-death researcher Dr. Raymond Moody, project heads Lisa Smartt and Dr. Erica Goldblatt-Hyatt, and scholars Dr. Dan Synnestvedt and Dr. Jonathan S. Rose, moderated by Swedenborg and Life host Curtis Childs. 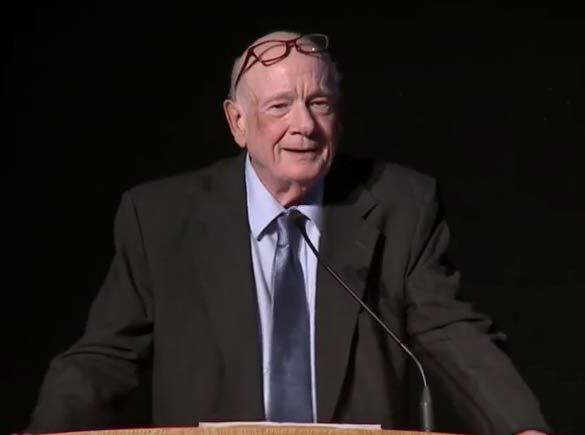 Moody, who is best known for his research into near-death experiences, kicked off the event by examining common conceptions of logic and nonsense. After decades of studying nonsense and communication, he has identified seventy different types of nonsense, all of which share certain commonalities: they are based in symbols, imagery, and logic that are shared by most people, but also contain absurd or contradictory elements. 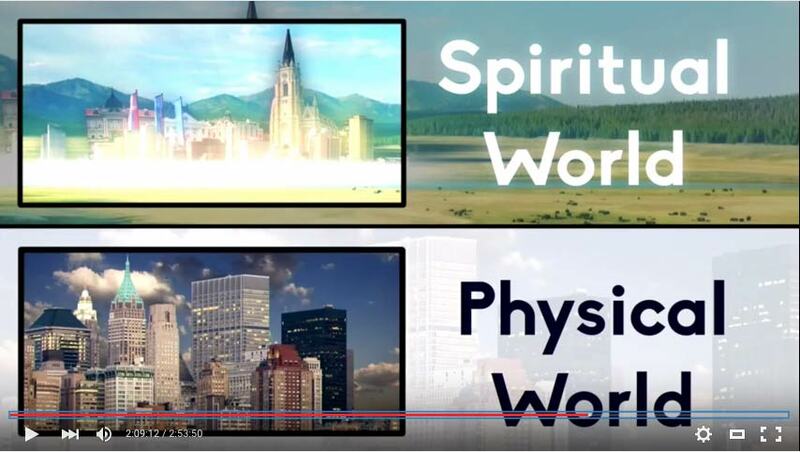 Even though these words or phrases don’t make rational sense, they sometimes convey meaning through sound, imagery, or context, thus becoming a different type of communication. The patterns and categories that Moody identified arise over and over across cultures and generations, and can give us information about the reality and thought processes of the speaker. “When the mind switches from one state of existence or framework of existence to some other incompatible framework of existence, then the mind necessarily generates nonsense in that transition,” Moody observed. The nature of the afterlife is a philosophical rather than a scientific question, Moody emphasized, because right now there’s no way for us to objectively study the afterlife. While the afterlife is beyond the scope of the RICD study, he wondered whether it might give us some insight into what the afterlife is like. Lisa Smartt is a linguist whose training and curiosity led her to record her father’s words just before his passing. “As I transcribed my father’s words during his final weeks of life, it was as if I were entering a new and foreign territory. I was witnessing something remarkable. His language was changing, in startling ways. And as it was changing, his consciousness appeared to be changing too.” While most of what he said might have been dismissed as nonsense, Smartt wondered if there was linguistic or psychological significance to it. But when Smartt began to look for academic literature on end-of-life language and metaphor, she found almost nothing. 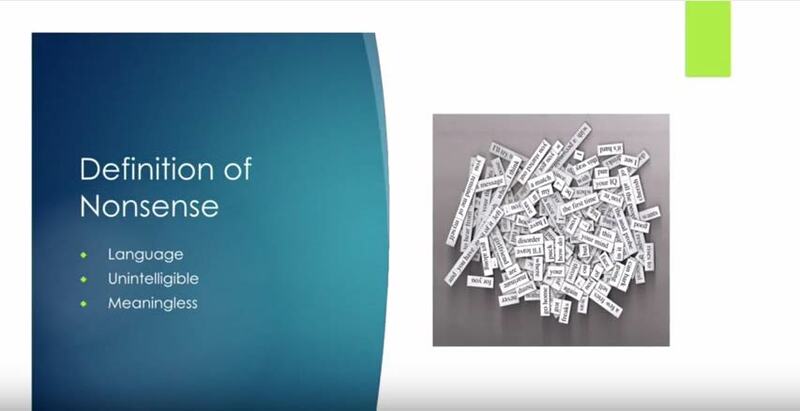 While there have been many studies on first words and the implications for psychological development, there has never been formal research into the words of the dying and what they might tell us about how a person’s mental processes change at the end of life. She was inspired to make this question the subject of her doctoral dissertation, and when she went to one of Moody’s lectures on nonsense, it immediately struck a familiar chord. 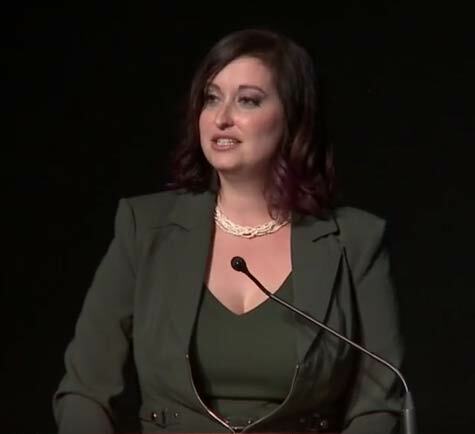 During the panel discussion in Bryn Athyn, Smartt used her father’s recorded words to illustrate the patterns she found in the words of the dying. For example: “When you’re packing for Las Vegas, better bring an oxygen tent.” People who are nearing the end of life often refer metaphorically to travel or movement, and it’s common for them to combine places from their past (her father was a gambler, and loved Las Vegas) with objects in their immediate vicinity (the oxygen tent). 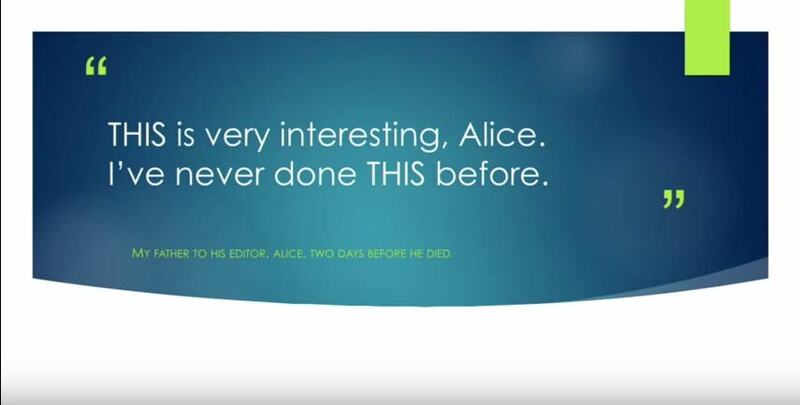 Paradoxical phrases are also common, as illustrated in another of her father’s utterances: “Introductory offer . . . the store is closing.” Also very common are references to things breaking down, perhaps showing a subconscious awareness of their physical condition. Smartt began to research other anecdotal records of deathbed words. Not only did Smartt find commonalities, but she also found that many of these speech patterns also occur in near-death experiences and in written or spoken nonsense: contradictory or paradoxical statements, nonsense words, repetition of certain words or phrases. These statements are often perfectly grammatically correct, but contain elements that seem irrational to a healthy mind. With Moody’s encouragement, in 2014 Smartt launched the Final Words Project, with the intention of launching a rigorous academic study into the communication of the dying. Smartt’s Facebook page attracted the attention of Erica Goldblatt-Hyatt, a professor of psychology at Bryn Athyn College, who was looking for a research project to supplement their programs in spirituality and psychology. Thus Smartt, who found that other academic institutions shied away from the subject of death, found a home for her research at Bryn Athyn College. 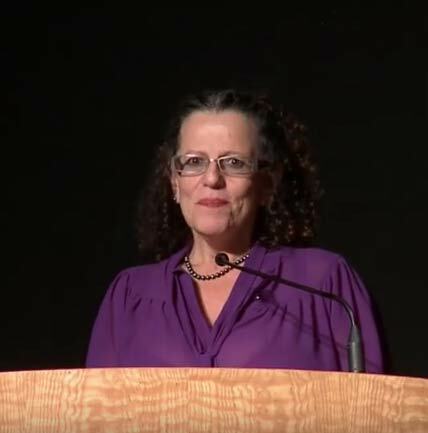 In the next presentation, Goldblatt-Hyatt described the goals and methodology of the project. The team—led by Smartt and Goldblatt-Hyatt, with logistical support from students at Bryn Athyn College—will first identify potential participants and then conduct interviews with both the participants and their families, taking care to keep the families informed and involved and to ensure that all parties understand their participation is strictly voluntary. The team will have weekly check-ins with participants, and once a doctor identifies the participant as having entered the final stage of life, researches will place voice-activated recorders by the participants’ beds (which can be turned on and off at any time if the family wishes privacy). The recordings will only take place in private homes in order to reduce the possibility that other parties will be recorded without their knowledge. Once the participant passes, the recordings will be transcribed and analyzed. Peer review will be conducted by staff at Holy Redeemer hospital, which, like Bryn Athyn College, is located in the greater Philadelphia metropolitan area. Although this particular project will be limited in scope because the team is small, the researchers hope that the information gathered will form the basis for future research that focuses more closely on specific aspects of the experience. Following the discussion of the research was a presentation from Dr. Dan Synnestvedt, head of the philosophy department at Bryn Athyn College. He laid the context for the project with a brief talk on hermeneutics, the science of interpretation. What seems like nonsense to one person might actually make complete sense to another person with the right context. For example, a stroke victim who was regaining his ability to speak was shown a picture of two childlike angels by his speech therapist. He identified them as “cherubim,” only to be told that he was wrong, because the therapist had never heard the word. 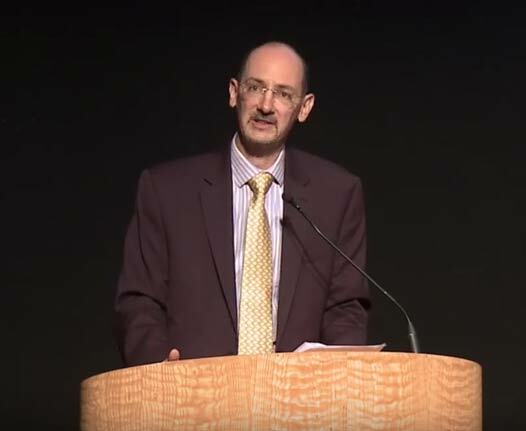 The panel discussion was rounded out by Dr. Jonathan S. Rose, a minister and also series editor of the New Century Edition of the Works of Emanuel Swedenborg. 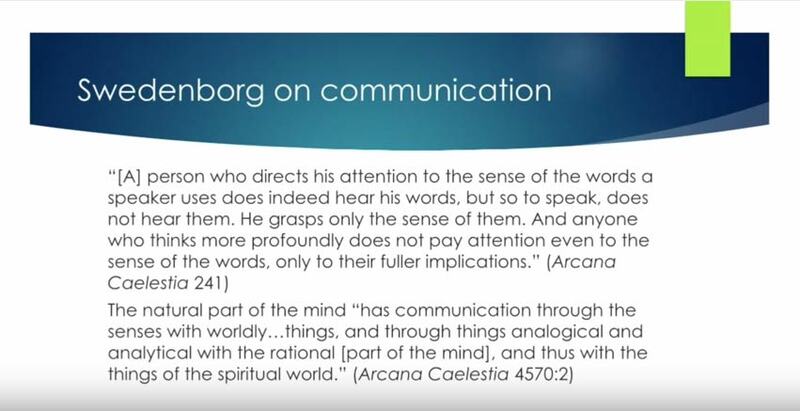 He described Swedenborg’s experiences of being simultaneously in the physical world and the spiritual world—interacting with people physically, and yet sometimes having a different conversation in the spiritual world at the same time. To illustrate how this might work, before the panel discussion began he asked the production crew to break into his speech at a key moment. Audience members heard Rose speak, and then audio of the director giving instructions to the camera crew played over the speakers. Rose pointed out that while the audience had been sitting and listening to the presenters, behind the scenes a team of audio and visual technicians had been coordinating the live webcast of the event—conducting their own conversations in parallel to the events on the stage. And while each set of conversations made sense to the people participating in them, when one leaked through into the other, it sounded like nonsense. Rose suggested that while most of us spend our lives grounded in the physical world, people who are approaching the end of life may already be transitioning into the spiritual world. If so, could their seemingly nonsensical speech actually reflect conversations we have no way of hearing? The panel discussion was followed by an hour-long question-and-answer session, with some questions from the audience and from people watching the live webcast. You can watch the entire recording on the offTheLeftEye YouTube channel. 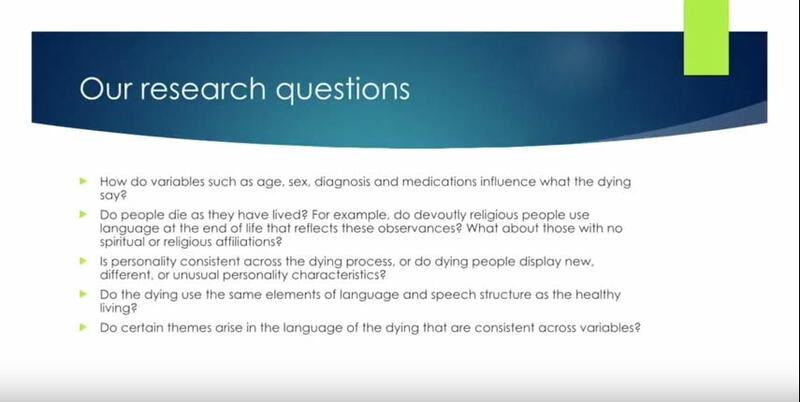 For more information on Research into the Communications of the Dying, visit https://www.brynathyn.edu/academics/research/ricd/ or www.finalwordsproject.org. If you would like to make a donation to support the project, you can find links on either of those pages.